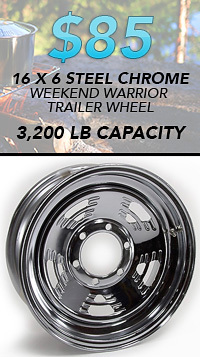 I bought this last wheel to replace one just like it that I had damaged terribly in a trailer rollover. While moving the tire to the new wheel, I had them spin the damaged one on the tire machine. In spite of the horrific cosmetic damage, the wheel was still true and straight. I'm using it for a spare. This is a hard way to test toughness of a wheel, but I am now very confident in the reliability of these wheels. If I had more trailers, I'd buy some more of these wheels. 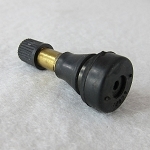 I used these on a motorcycle trailer and evryone is asking where i got them. They look really great. I decided to improve the look of my Jetski trailer. I selected these rims after painting the trailer black. It really improved the trailer greatly! 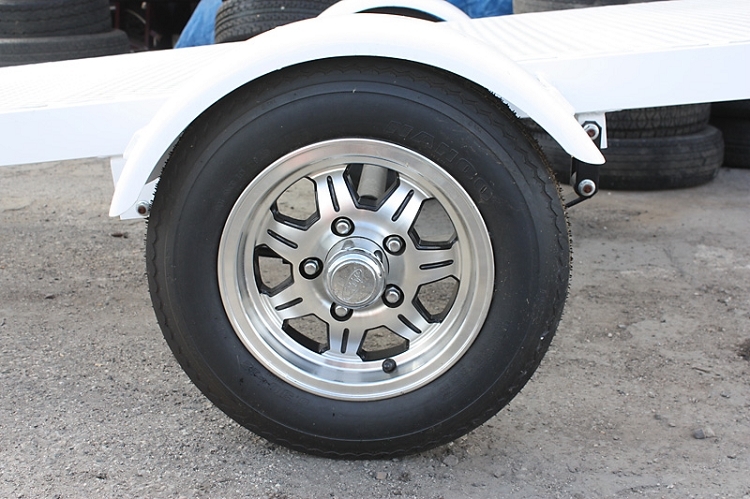 Plus, I added some new 12" radial Carlisle tires to beef it up a bit more by replacing the original skinny tires. 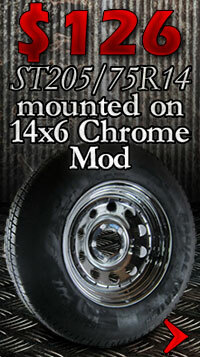 A neat thing is the shipment arrived with the tires mounted onto the rims; all I had to do was mount onto the trailer. Recommend highly. I really like these wheels and I think they look so much better than the common "Aluminum Star LT". 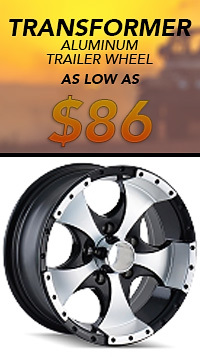 I used them on my motorcycle trailer (the kind towed behind a motorcycle) on my recent 6686 mile trip and they performed flawlessly. There was no shimmy or vibrations from these wheels. I got compliments on them a number of times. I would buy them again. 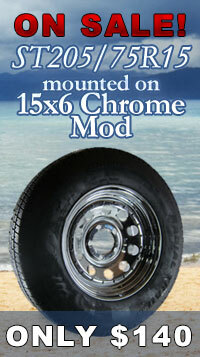 Bought four of them for my enclosed snowmobile trailer. Very well made wheels and have center caps with removable ends for fast greasing of bearings. Clear coated aluminum for protection against salt. Overall very nice wheels and well built. Thanks Shadow for fast shipping. Wheels look great. 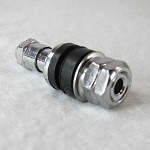 However, if you're switching from standard hub to aluminum you need to purchase the longer length lug nuts to secure the hub. 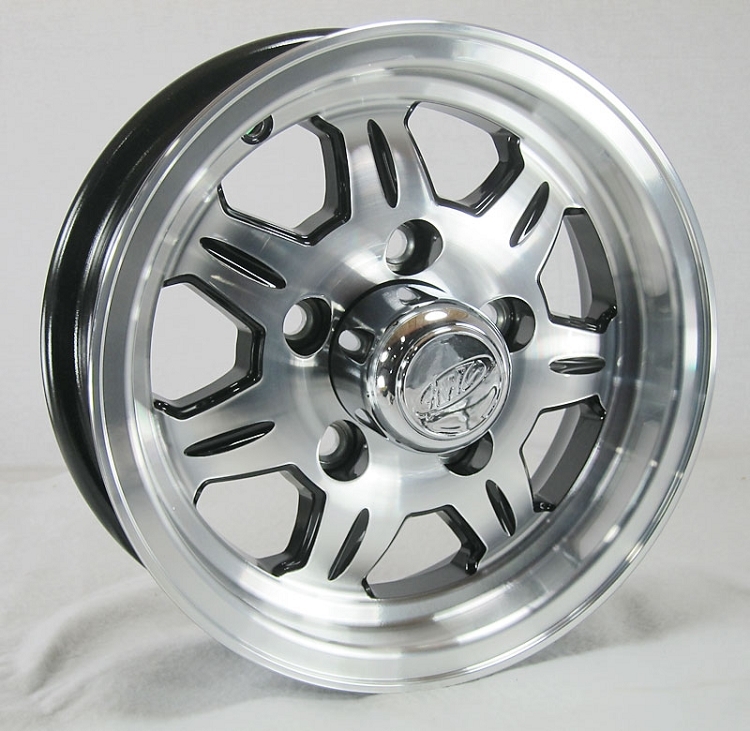 These wheels look awesome...I can hardly wait to get them installed on my Goldwing Trike. Still too much snow up here to be thinking about trekking.